London's Tate Modern just debuted a stunning new art installation by Yayoi Kusama that consists of hundreds of low-energy LED lights reflected by wall-to-wall mirrors. 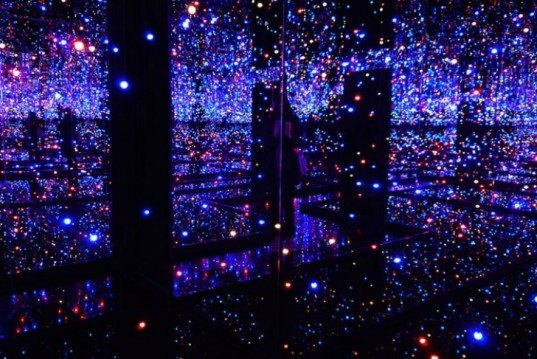 Dubbed the Infinity Mirror Room, the exhibit is a spectacular spacial void brimming with sparkling lights that dazzle and amaze visitors. Yayoi Kusama‘s work often obsessively repeats motifs such as patterns of polka-dots – for example the Obliteration Room in Brisbane – or the reflected lights in her new piece entitled “Infinity Mirror Room – Filled with the Brilliance of Life”. The Tate Modern‘s new retrospective recognizes these signature themes in the 82-year-old Japanese artist’s work. Having lived as a voluntary resident in a psychiatric hospital for almost 40 years, Kusama creates work that completely envelops the viewer. The exhibition will run through June 5, 2012. For more information visit the Tate Modern website. 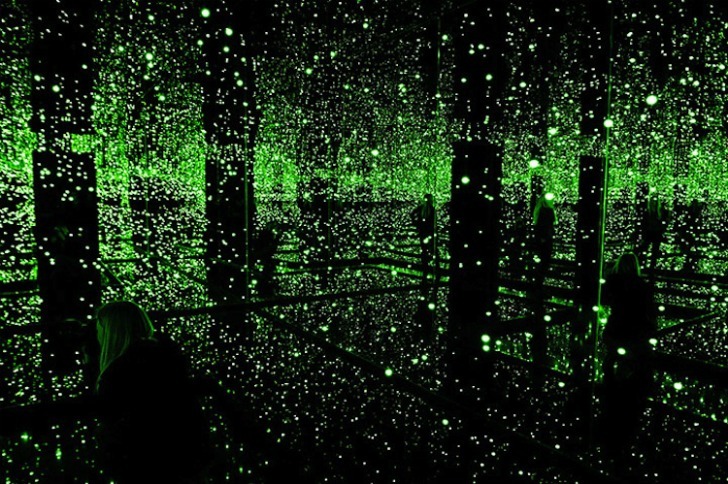 Yayoi Kusama's work often obsessively repeats motifs such as patterns of polka-dots - for example the Obliteration Room in Brisbane - or the reflected lights in her new piece entitled "Infinity Mirror Room – Filled with the Brilliance of Life". The Tate Modern's new retrospective recognizes these signature themes in the 82-year-old Japanese artist's work. Having lived as a voluntary resident in a psychiatric hospital for almost 40 years, Kusama creates work that completely envelops the viewer. The exhibition will run through June 5, 2012. For more information visit the Tate Modern website.